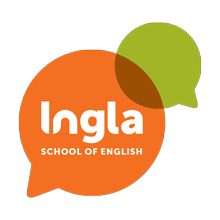 Ingla is a modern, warm and vibrant English language school in North London that offers small classes and an intimate learning environment. We teach English not just as a language but as an experience – learning is immersive using real life scenarios to enable our students to be confident in any situation. Our team is enthusiastic, dynamic and supportive – we go above and beyond to make our students’ experience in London as successful, rewarding and enjoyable as possible. Still wondering which course will be the best for you? Great little school, only a step to Turnpike lane station, haunted by a team of good teachers (and a not so friendly but inoffensive ghost). It is an amazing school. I learnt a lot. The assessment is impressive. I was not able to speak but now I speak much better. It is more than a simple school!! In Ingla School I found very nice people, teachers were very good and the management of courses was wonderful! Stay Connected and follow us for all the latest school happenings, plus special offers, available exclusively for our social media fans. We are accredited by the British Council - an independent organisation responsible for maintaining high standards of English language provision. We are also a member of English UK - the world's leading language teaching association ensuring the best teaching and care for students.